In her new role with CNN, Nitya will work with the executive editors of premium content verticals such as Style, Travel, Arabic, Media & Entertainment, and Health to execute editorial strategy and liaise with the network’s sales, product, tech-dev and newsgathering teams. 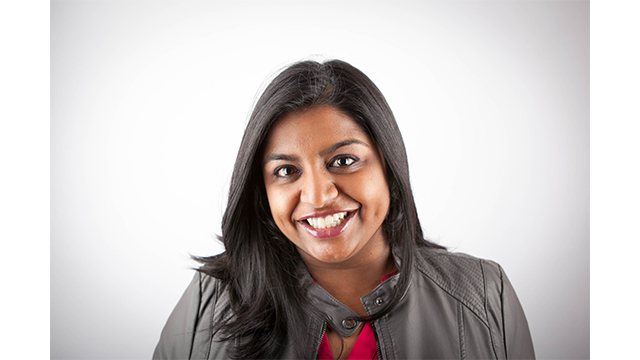 Nitya will report to CNN’s SVP of Premium Content Ed O’Keefe when she starts in late July. Until then, give her a shout on Twitter @nityavc and check out her Q&A below. What is premium content and how will you VP it? Premium content is the story of how we live our lives. Areas like Style, Travel, Health, and Entertainment are reflections of our collective tastes. They speak volumes about who we are right now, and how we’re willing to spend our time and money. There’s a lot to learn from the successes of CNN Politics and CNNMoney, and I’m excited to be part of the team that applies those lessons to premium content. Sheet cake. Art supply stores. Books on clutter clearing. Draft beer. Laguna Beach, Season 1. And I’m from Pittsburgh, so if you offer me a salad topped with French fries, I won’t say no. Yesterday, when my two-year-old emptied a full can of Pringles on to the floor. As you contemplate the kind of quiet rage that can only come from seeing perfectly stacked foodstuffs spread in utter disarray, consider that, as she helped to clean them up, she alternated between eating chips off the floor and stomping on them. Also, they were Honey Mustard flavor, which somehow made everything more offensive. What’s in your digital diet? Mornings are a lot of scanning. Facebook, Twitter, Instagram, and SnapChat are where I start. My path through news, UX, design, and technology has curated my social media feeds into an engaging and eclectic mix of ideas, inspiration, and funny. CNN and the New York Times keep me informed of breaking news throughout the day; David Pell’s “Next Draft,” Vox Sentences, and the Times “What We’re Reading” let me reflect on it. I love incisive commentary on the life and times by people like Dan Mall, Damon Young, Samantha Bee, and Austin Kleon. Julia Carpenter’s “A Woman to Know” and the “Stuff You Missed in History Class” podcast let me go back to school. I have more bookmarked articles from Nautilus and Atlas Obscura than I could ever read in this lifetime. And I think those hyperlapsed cooking videos on Facebook are basically a postmodern form of meditation. I love that through it all, there’s an element of surprise and discovery; every time you think you’ve just seen the greatest thing you’ll ever see online, it’s only a few days, or maybe just a few minutes, before the next greatest thing crosses your digital path. Why did you pursue this position? This moment at CNN Digital, with the development and evolution of premium content verticals, feels like an opportunity to play a role in the writing and recording of our cultural history. For a college anthropology major who became a journalist who fell in love with user experience and digital product development, that’s the opportunity of a lifetime. My dad’s dad who died when my father was a boy. He was a draftsman who inspired my father to become an engineer. I’ve always wanted to tell him all the amazing things that happened. Digital Media. How do you know who’s doing it right? Doing it right starts with mission, goals, and audience, then pivots to a realistic understanding of how your product fits into the days, weeks, months, and lives of your audience. From there, you need to understand what’s required to create it. And then actually have to create it. With regularity. I’m always impressed by organizations that aren’t afraid to choose the channels, platforms, and tools that suit their goals and audiences, and invest accordingly. Answering this in my head keeps turning into a list of songs I would sing at karaoke. But I’m pretty sure it’s “Groove is in the Heart”.